Friday, April 19, 2019 Useful Resources for Industrial Technology Enthusiasts! After an extensive search to find a software solution capable of providing full inventory control and the ability to fulfill customer orders utilizing visualization without the need of cumbersome hand-held scanners, Hot Shots Distributing "Hot Shots" selected this warehouse management solution After an extensive search to find a software solution capable of providing full inventory control and the ability to fulfill customer orders utilizing visualization without the need of cumbersome hand-held scanners, Hot Shots Distributing "Hot Shots" selected this warehouse management solution. The software was integrated with Hot Shots ERP system to distribute customer orders directly to warehouse personnel for highly efficient order fulfillment and extremely accurate inventory management. This fully integrated solution Hot Shots can rapidly fulfill orders by picking with full product visualization. The integration to Hot Shots ERP software was done utilizing the powerful API's of the WarehouseOS software, seamlessly integrated into a facility within a few weeks. A new feature added to the product is the Metrics Leader Board. This leader board is displayed on a larger screen LCD mounted in the warehouse (or on a laptop monitor in a supervisor's office) provides full visibility of the progress of orders on an hourly basis. The metrics leader board was customized for Hot Shots to show the overall progress of orders to be fulfilled for both the current day in addition to all orders in queue. As units are picked by operators the total quantity is displayed in real-time on an hour per hour basis throughout the day. If the number of orders to be shipped for the entire day will not be achieved based on the current hourly rate, the hourly progress bar turns red indicating to the pickers they are falling behind. An image of each operator is displayed on a scrolling bar indicating their overall units picked for the day and average units picked per hour. The operator with the highest hourly rate is highlighted in red, indicating to the other operators who is the fastest picker for the day. This feature can be utilized to reward high achieving employees and incentivize others to improve their picking rates. 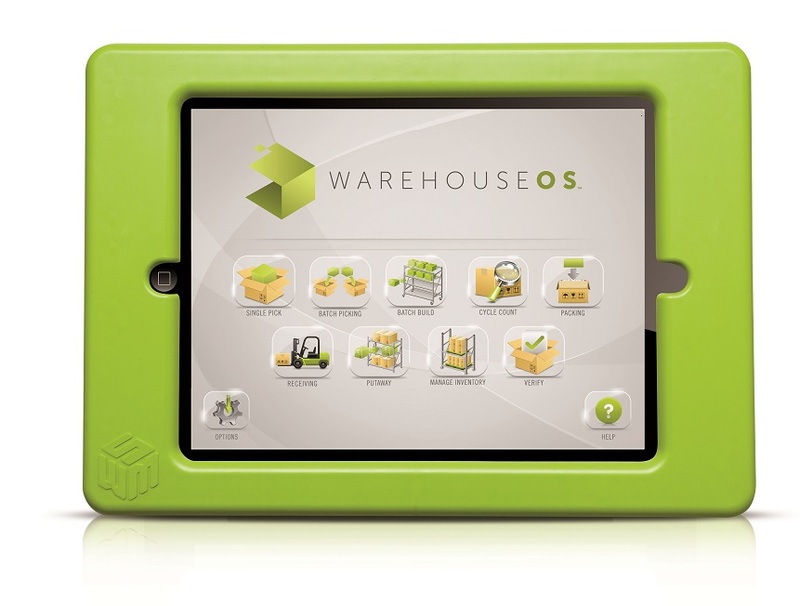 The Warehouse Mobile Solutions system implemented for Hot Shots incorporates 10 iPads mounted in New Lite injection molded enclosures utilizing a quick disconnect system and 16 mobile picking carts, each equipped with a swivel bracket designed to accept the iPad Lite enclosures. 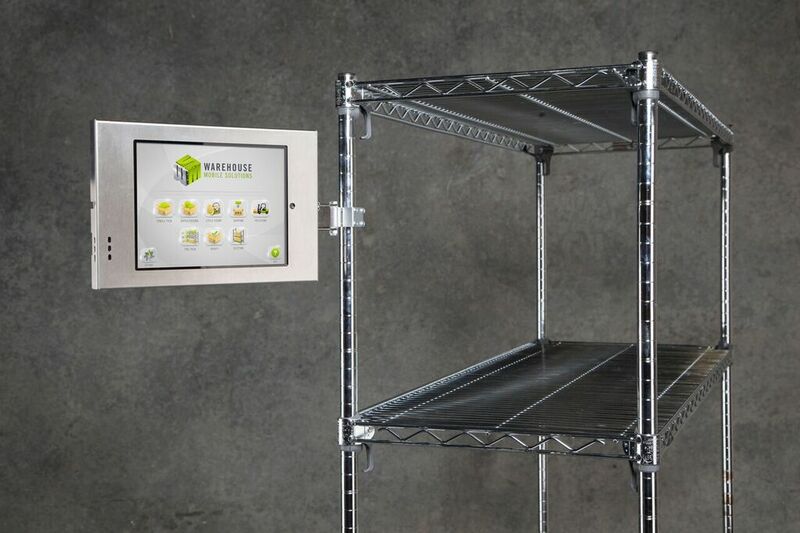 This unique design allows operators to store and pick products without the use of paper or cumbersome hand-held mobile terminals. Operators simply scan items and locations as directed by the mounted tablet devices. The tablets are controlled wirelessly by a system manager, Tablet Director, which releases orders, schedules operators' activities, and tracks in-process orders throughout the entire order fulfillment process.